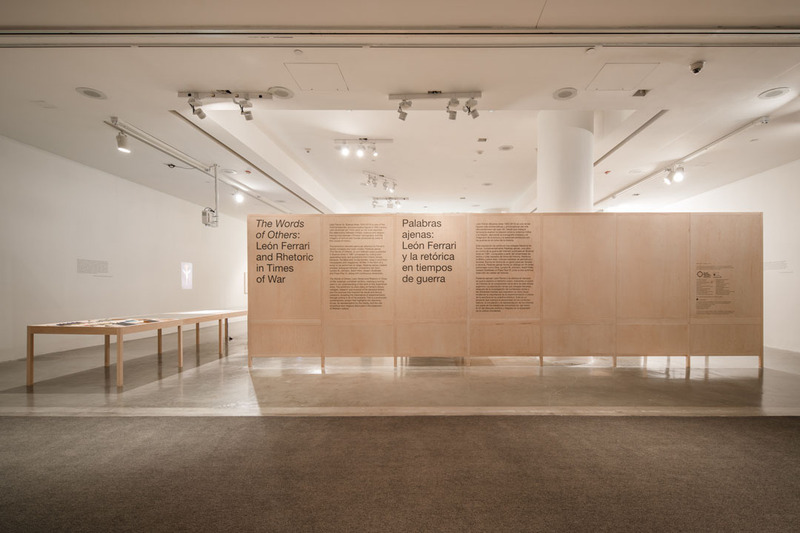 The design for the exhibition “The Words of Others, León Ferrari and Rhetoric in Times of War” is based on a series of modular tables and walls precisely fabricated out of maple wood. 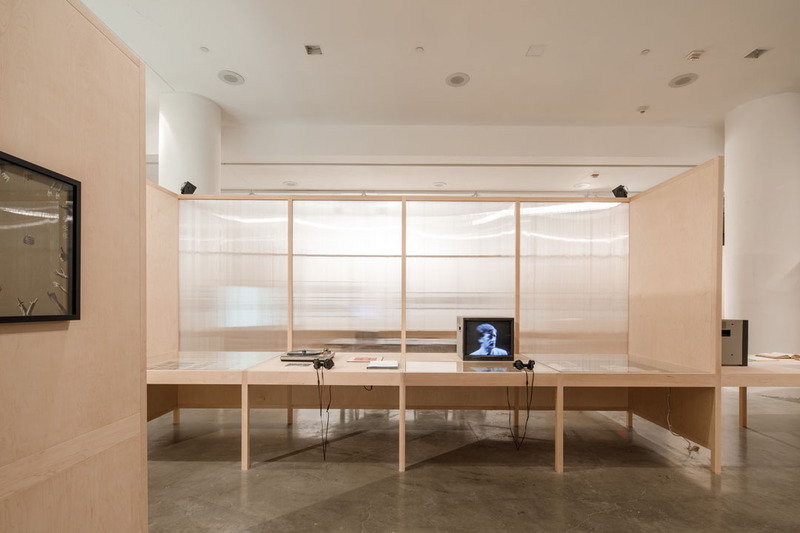 The combination of these vertical and horizontal space dividers, turns the gallery into a intriguing maze in which the visitor has intimate encounters with the works and documentation presented. 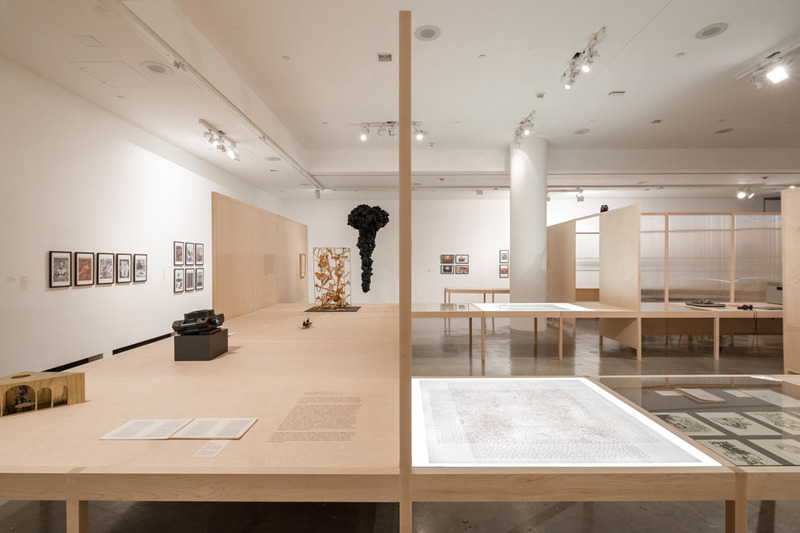 At the same time the exhibition layout allows for visual connections across the tables, establishing meaningful relations between different thematic areas. 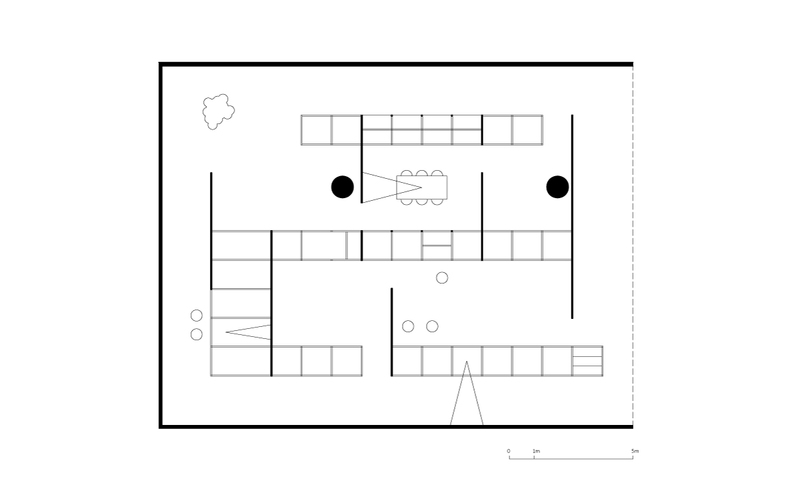 A central ‘room’ has a perimeter of translucent paneles and is activated by a sound installation. 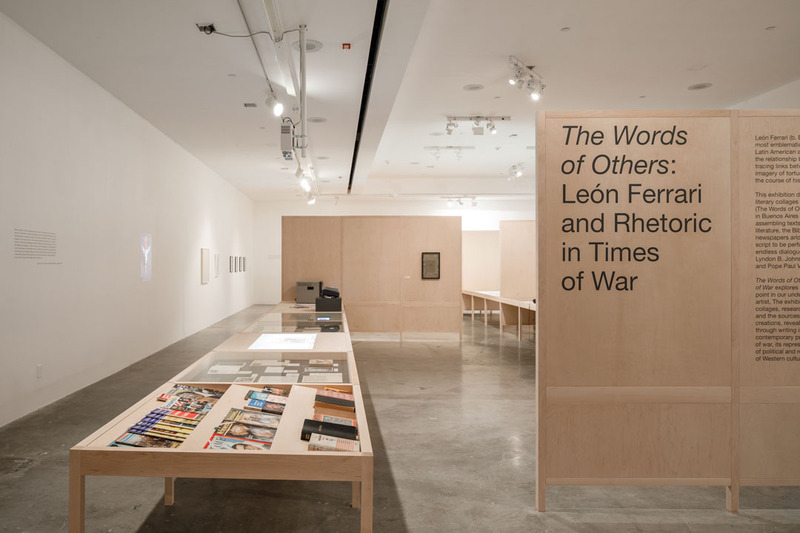 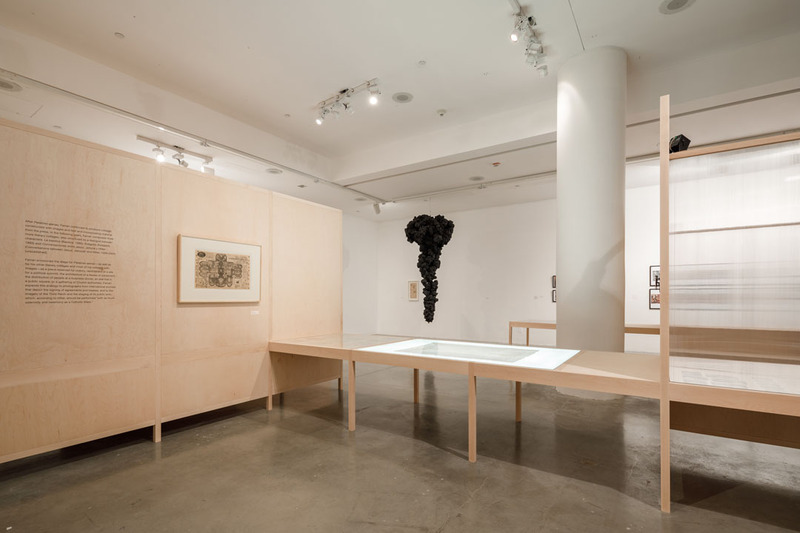 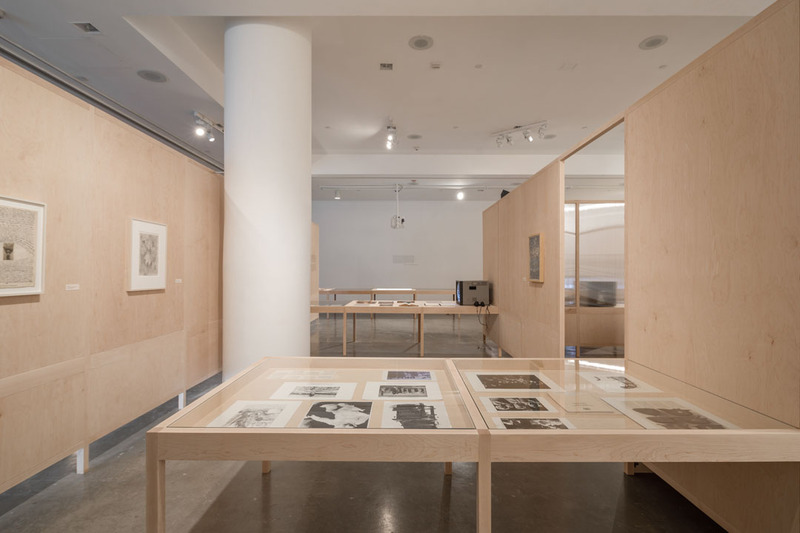 The exhibition, curated by Ruth Estevez, Miguel López and Agustín Diez Fischer, is the most significant solo exhibition of work by Argentine artist León Ferrari (Buenos Aires, 1920 – 2013) in the U.S. and featured at its opening the first full performance of the seminal 1967 publication "Palabras Ajenas /The Words of Others”.